We developed the award winning Sandwichbike. The Sandwichbike is a Dutch Design original that was inspired by the concept of flat packing, home assembly and the drive to create exceptional products. 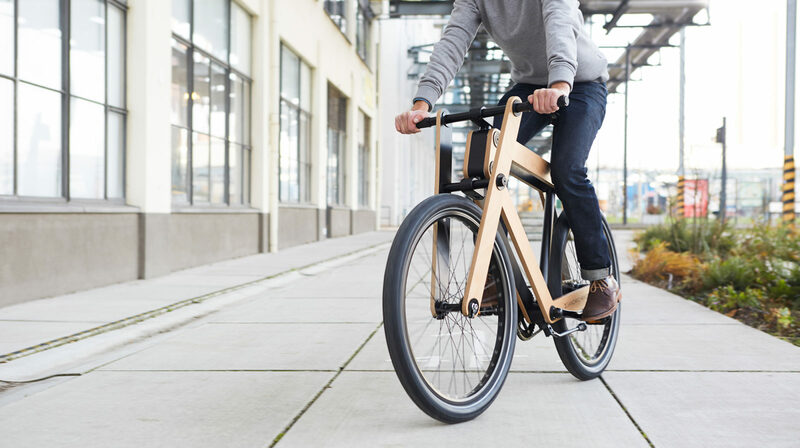 Instead of a welded frame, The Sandwichbike is a bike engineered as a ‘sandwich’ of two weather coated frames of layered plywood. Bonded together by ‘smart cylinders’, the frames and components become a bike that is both durable and extremely attractive. The Sandwichbike fits in a small, flat package, so it can be send by post. Everything you need is in the box including the tools, so you can start assembling right away. Visit sandwichbikes.com for more information.